In our daily running, worthwhile to stop for a minute in keeping up in time and take a visit to the exhibition at Tranzit Art Café. The exhibition can be visited through December, 1. 2014. until January, 12. 2015. The exhibition „Finding Kálmán” is about a boy in six million lost during the Holocast. The paintings lighten up one chapter back in time of the four years old child. It show an artist … family member …who is recalling in a way of the past. The exhibition show through art by sharing memories in helping the family reclaim the spirit and creating positive change in the world. 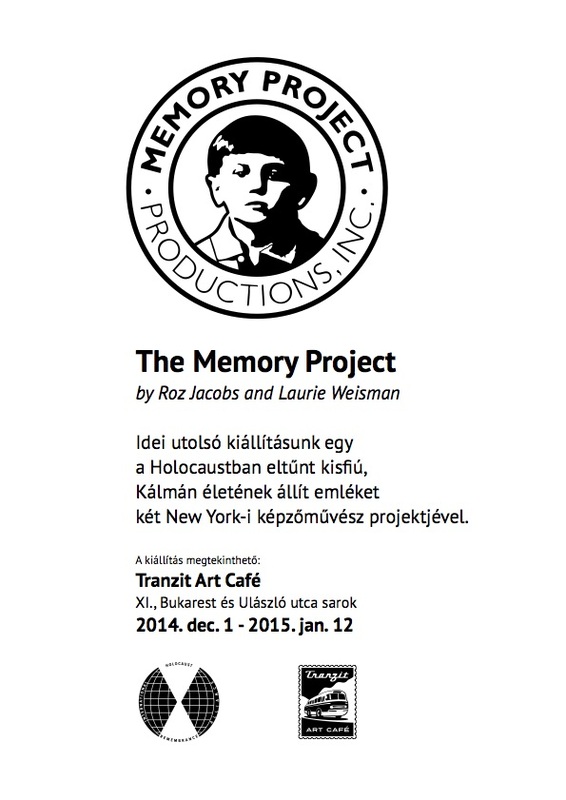 The Memory Project was founded in 2008 by Roza Jacobs and Laurie Weisman. HQ’s – New York. USA. Co-founder of the project was Róza Jacobs the daughter of two Holocaust survivors, Jenő and Anna Jacobs. Jenő Jacobs was a passionate believer in the importance to share through art one of the victim of the world’s most heinous of homicide. Recognitions: CINE Golden Eagle 2011 for the film Finding Kalman. Best Short Documentary Louisville International Film Festival 2011. Excellence Award Rincon International Film Festival, Puerto Rico 2012. The Memory Project Multimedia Art Installation, Finding Kalman – documentary, the Book: Finding Kalman: A Boy In Six Million.